There’s a lot to complain about in New York, but few of us have the opportunity to make our voices heard. As such, the New York City Council has created the Idea Collection Map, a handy map tool that allows you to suggest improvements you’d like to see in your neighborhood, and anywhere else, right from your computer screen. After an idea is submitted, it will be sent along to community volunteers—or “budget delegates” as they’re called—who will work in your district to get your suggestion turned into a real proposal for a ballot. The proposal will then be voted on by the community in the spring. 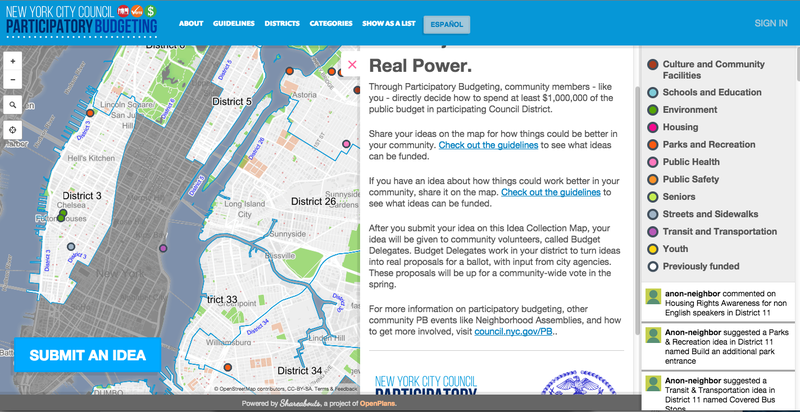 “Through Participatory Budgeting, community members—like you—directly decide how to spend at least $1,000,000 of the public budget in participating Council District,” says the Idea Collection site. Although the money applied to improvements is anything but high stakes (because really, what’s a million dollars in this city?) 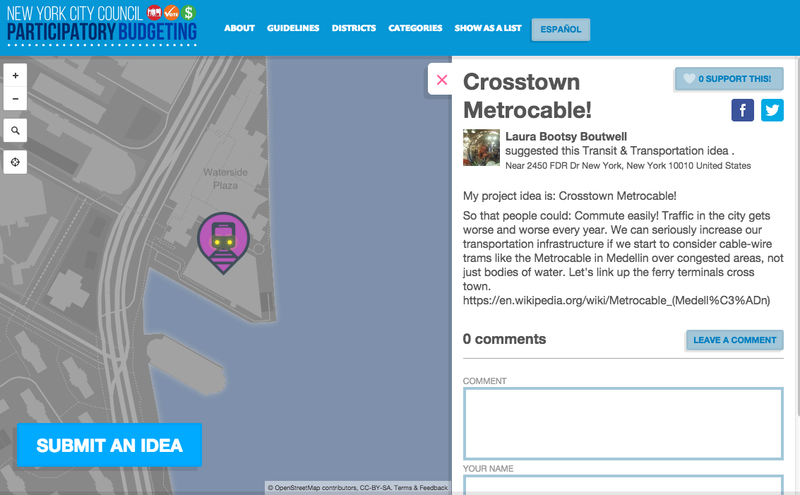 it is fun to read some of the ideas that our fellow New Yorkers have dreamt up. You’ll see everything from simple requests for playground upgrades to mega transportation initiatives like introducing a “Crosstown Metrocable.” There are established guidelines as to what can be funded, however. The last day to partake is November 16, 2015.